Both Local Twin Cities and National Tour of Cantus's Alone Together, going to 36 cities in 21 states and several Canadian provinces. By almost any measure, our ability to communicate has never been more advanced. Nevertheless, people and communities - though linked by technology - still struggle to connect in meaningful ways. During its 2018-2019 touring season, Cantus explores the challenges of connecting in our modern age through works by Beethoven and Bernstein paired with such contemporary composers as Jennifer Higdon, David Lang, and Gabriel Kahane. Cantus shows off a completely different side with Covers, arranging and performing the everyday classics of our time. This year features Joni Mitchell’s acclaimed album Blue performed in its entirety — as well as songs by artists like The Beatles, Queen, Michael Jackson, and more. You won’t want to miss it! Who hasn’t experience a love that only goes one way? Unrequited explores the risks — as well as the dizzying highs — embedded in feeling passionately about someone. Join Cantus for the third installment of its popular chamber music series, coupling solos and duets with Cantus’ rich, full-ensemble texture. Including Robert Schumann’s most famous song cycle, Dichterliebe (Op. 48), Unrequited is a journey of finding love, losing it, and moving on. Cantus performs ‘When I Grow Up.’ What kind of person do I want to be? How do I find someone to share my life with? What happens when I make mistakes? When I Grow Up explores the path of self-realization. From childhood through adulthood, Cantus reflects on the cycle of life. Exploring themes of adolescence, companionship, parenthood, masculinity, and morality, When I Grow Up considers how we come who we are. In the 1880’s Edward White Benson, who later became Archbishop of Canterbury, organized the Lessons and Carols service to keep men out of pubs on Christmas Eve. Yet what began as a “sobering” suggestion has grown to a tradition that encompasses the world, with variations of the service found in Christmas and holiday celebrations throughout the past century. As an innovative vehicle for meditation and thought, Cantus' Lessons and Carols is a perfect way to reflect on today’s most important relevant lessons, both intimate and universal. Each holiday season, we celebrate age-old traditions and create new ones for future generations. In a program hailed by The Pioneer Press as “…one of the most rewarding ... Cantus has ever created,” Cantus presents a modern take on the Festival of Nine Lessons and Carols, reimagined for the new world we live in today. 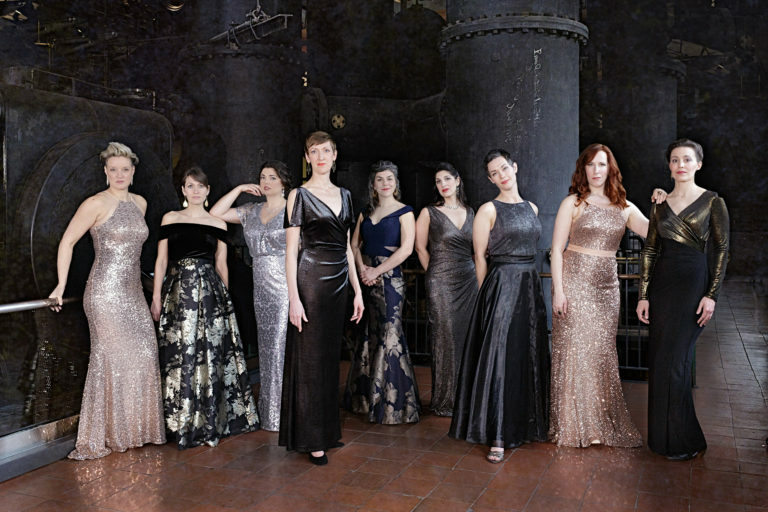 Join Cantus and Lorelei for a celebration of the very best in vocal chamber music! We can all too easily find ourselves detached from the natural world. Even so, the Earth always remains integral to our lives, providing not only life-sustaining resources but also artistic inspiration. Though we may be imperfect stewards of our planet, we can share an appreciation of its profound beauty and fragility. Join Cantus at For the Beauty of the Earth for a celebration of the majesty of this planet that we share. Travel involves a journey away from the familiar in search of the new and unknown. Once we leave home, we seldom return the same. This summer, Cantus explores the discovery that comes from travel with a series of chamber music concerts. Featuring the towering song cycle Songs of Travel by Vaughan Williams, the singers will interweave solos, full ensemble pieces, and everything in between to offer an intimate Cantus experience with music from around the world. Cantus shows off a completely different side with Covers. In collaboration with some of the Twin Cities’ most talented musicians, Cantus arranges and performs the everyday classics of our time. Whether it’s music from the ‘60s, the ‘80s or something brand new, Covers will have you singing and dancing in the aisles. Each year Cantus invites Twin Cities area high school choirs to apply for its award-winning residency program and selects three schools to participate. Over the course of the 2016-17 school year, choirs from Johnson Senior High (St. Paul), Washburn High School (Minneapolis), and St. Michael-Albertville High School (St. Michael) will work with Cantus, free-of-charge, on improving vocal skills, expanding choral repertoire and developing a life-long love for ensemble singing. This inspiring concert, featuring Cantus and the three high schools, is the culminating performance of their year together. Life, liberty, and the pursuit of happiness haven’t always meant the same thing for all. How does an entire country change? How are rights and freedoms earned? In America Will Be!, Cantus explores the sacrifices of some of our nation’s greatest heroes at home: men and women fighting for the evident truth that all are equal. Featuring timeless spirituals like Harry T. Burleigh’s “Deep River” and “This Ol’ Hammer” by John W. Work, as well as new voices in American music, America Will Be! looks toward the potential of the American promise. Cantus will be performing a headlining concert as well as a surprise performance with Eric Whitacre.